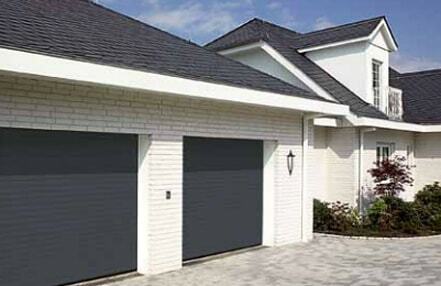 For homeowners in Stevenage looking to upgrade their existing garage door, Diamond Garage Doors are here to help. We carry out first class installation of a wide range of garage doors, suitable for garages of all sizes, fitting seamlessly with the external appearance of your property. No matter what style of garage door you prefer, our team of experts are on hand to offer all the advice and assistance you need. We tailor our work to your requirements, with automation and a variety of finishes available to deliver a quality finished product you can be proud of. Through our strong relationships with many leading garage door manufacturers, we are perfectly placed to carry out comprehensive garage door repairs, too. We stock spare parts to solve issues for all makes and models of garage doors, and our emergency repairs service means you are never inconvenienced for too long. For a secure, attractive and modern garage door, simply get in touch and enquire about our garage door installation service today. We offer a free survey and quotation, and are always happy to help.